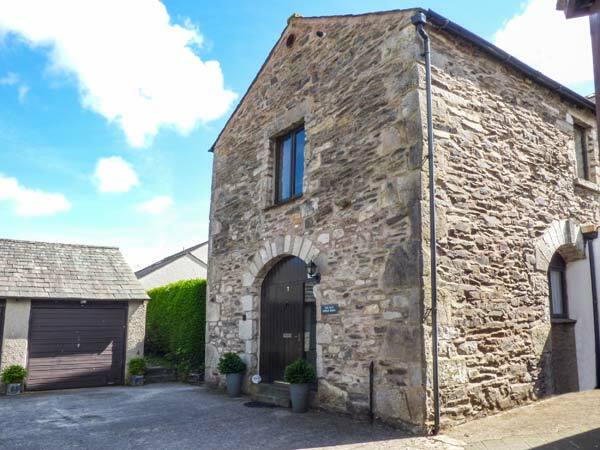 The Old Apple Barn is a barn conversion in the village of Lindale. The cottage sleeps four people and has one double bedroom and one twin room and a family bathroom. Also in the cottage is an open plan living area with fitted kitchen, dining area and sitting area. together with separate sitting area with sofa. Outside is off road parking for two cars and an enclosed lawned garden. 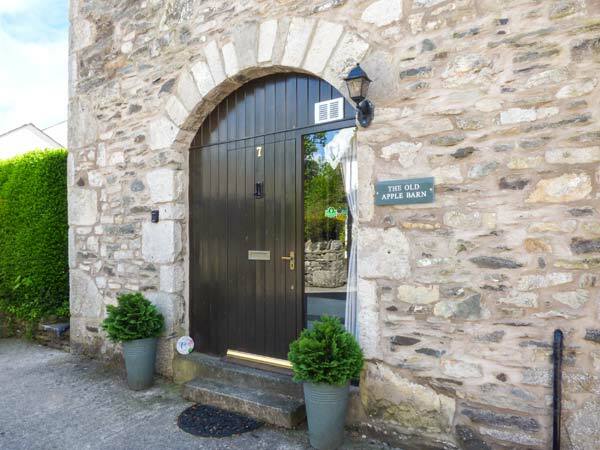 Situated in the southern part of the Lake District National Park, the Old Apple Barn is a delightful place to stay in this part of the country. Two ground floor bedrooms: 1 x double, 1 x twin (zip/link, can be king-size double on request). Ground floor bathroom with bath, shower over, basin and WC. First floor open plan living area with kitchen, dining area and sitting area. Second floor snug. Gas central heating. Gas oven and hob, microwave, fridge, TV with Freeview, DVD. Fuel and power inc. in rent. Bed linen and towels inc. in rent. Cot and highchair on request. Off road parking for 2 cars. Bike storage in garage. Enclosed side lawned garden with furniture. One well-behaved dog welcome. Sorry, no smoking. Shop 7 mins walk, pub 5 mins walk. Note: There are internal steps, may be unsuitable for guests with limited mobility. Note: Max. 3 adults.